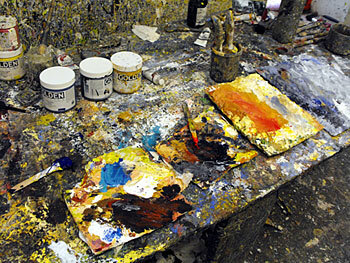 Art degree course at Trent Polytechnic. 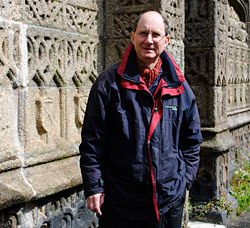 David Tress has lived in West Wales since 1976, and the landscape of this part of Britain forms the subject of many of his paintings. 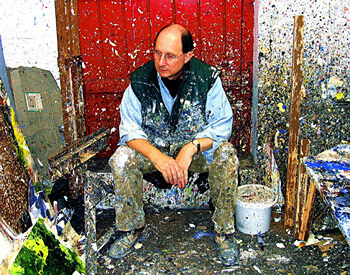 He has exhibited in Wales, England, Ireland, France, Holland and America and has works in public collections including: The National Museum of Wales, The Contemporary Art Society for Wales, The National Library of Wales, MOMA Wales, The Guildhall Art Gallery City of London, and Pallant House Gallery Chichester. the Millennium special issue of stamps. 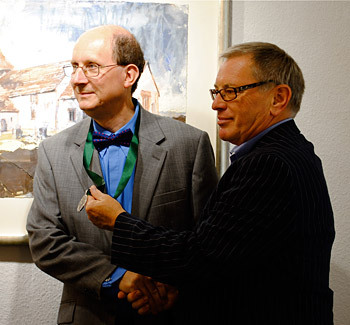 David Tress receiving the Glyndwr award for an outstanding contribution to the arts in Wales from Professor Tony Curtis. MOMA Wales, Machynlleth, August 2013.
hot or cold, was at the core of the work.